This item sold on December 21, 2018. Handmade junk journal style traveler's notebook insert. This is is a standard size insert made up of mixed paper of various sizes, weights and colors all hand stitched with waxed linen thread. 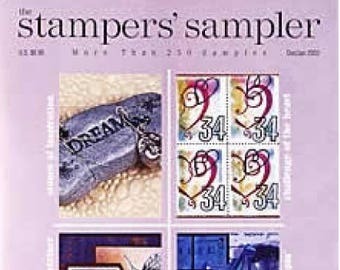 and various other types of papers to inspire your journaling. There are also two spots to tuck away some small ephemera, tickets or tags. 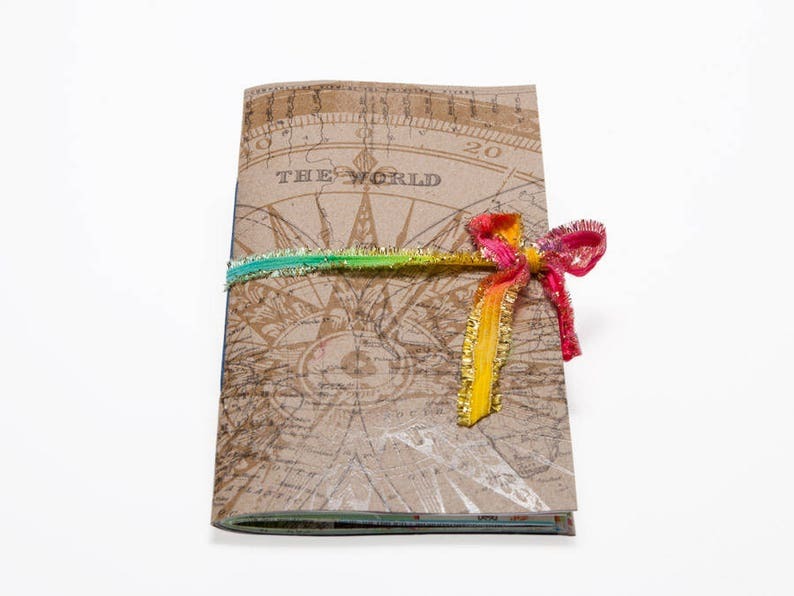 The journal can be used on it's own or inserted in a traveler's notebook. The journal has 30 pages; 60 sides. TN Standard size, 4.25" x 8.25"
Go ahead write about your trips real and imagined and have fun! Super fast shipping and just as described. Thanks! Awesome paper! Really loved what was picked out! Thank you! Great selection. Neatly wrapped. Love it! Your item will be shipped within two business days via USPS First Class Mail and First Class International Mail. For international orders contents of the order are itemized on the custom forms. Customs duties are the responsibility of the buyer. Please make sure your Etsy and Paypal shipping addresses are the same to avoid any shipping delays. Let me know where to ship your items. I currently accept Paypal, Visa, Master Card, American Express and Discover. Texas residents please note that a 8.25% sales tax is applied to purchases. I hope you will be happy with your purchase but if you aren't please contact me. Item must be sent back to me within five days and in its original package and condition. Upon receipt I will give you a full refund minus the shipping costs. If you see something in my Items Sold that you'd like, feel free to contact me. I may just have another or can recreate it.